← Stargazey Pies and Stinking Bishops– Oh, Those Wonderful Brits! I admit I was skeptical. I don’t bake very often, and baking bread, even less so. I’m not particularly fond of my bread baking machine and have never achieved the results I wanted, even just using it for the dough cycle. 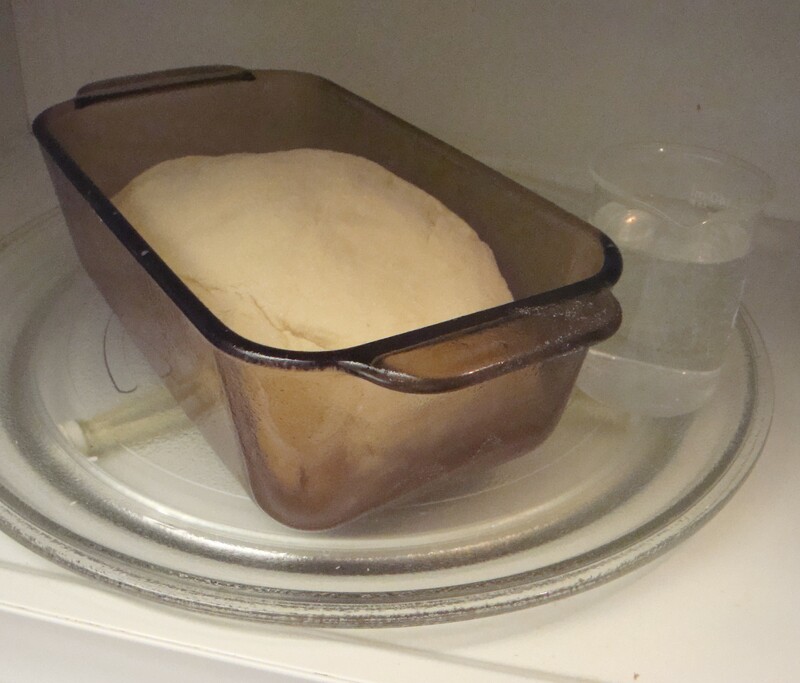 So, when I came across a book on bread baking using the microwave for proofing (micro-rise) , I was intrigued (I don’t use my microwave very often either). “Bread in Half the Time” is by Linda West Eckhardt and Diana Collingwood Butts, and was published in 1991. The recipes are primarily for use with a food processor and a microwave, although they have bread machine recipes as well. 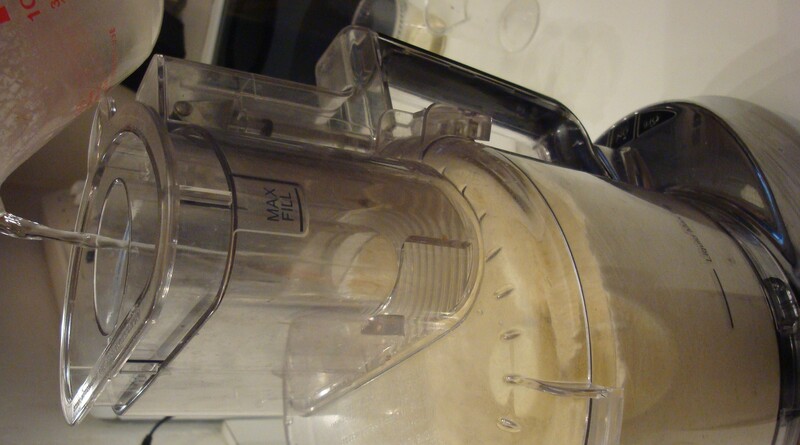 Fix the dough blade into the food processor. 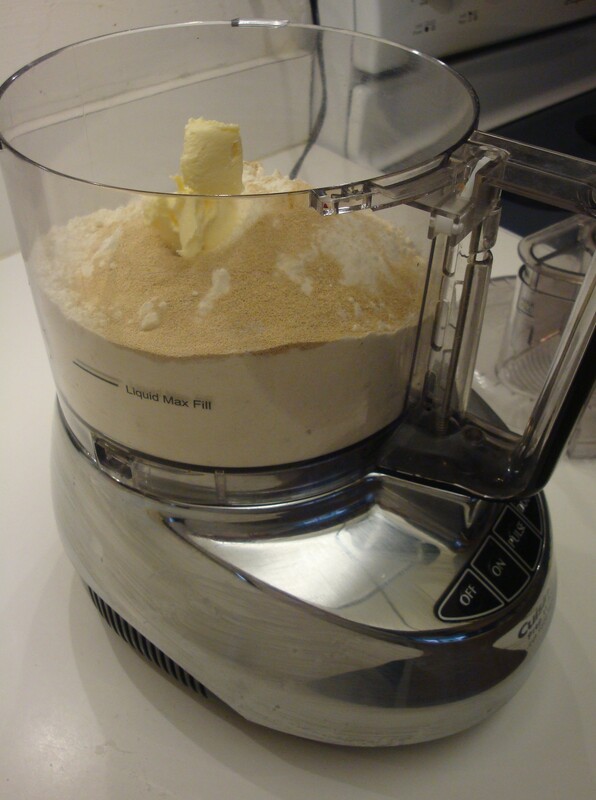 Combine and pulse the flour, sugar, salt, yeast and butter or margarine. With the motor running, add the hot water through the feed tube. When the dough leaves the side of the bowl, knead for another 60 seconds in the machine. 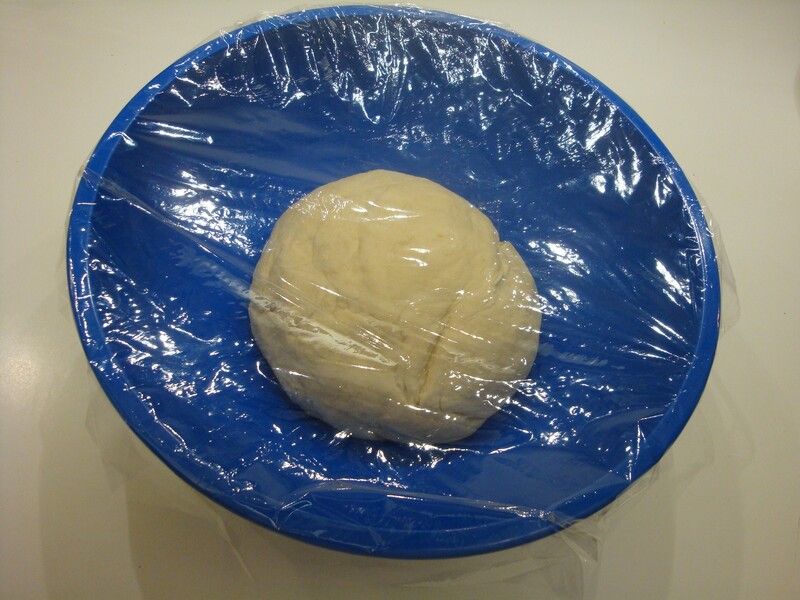 Remove the dough and knead for a few seconds by hand, adding more flour if it is sticky. 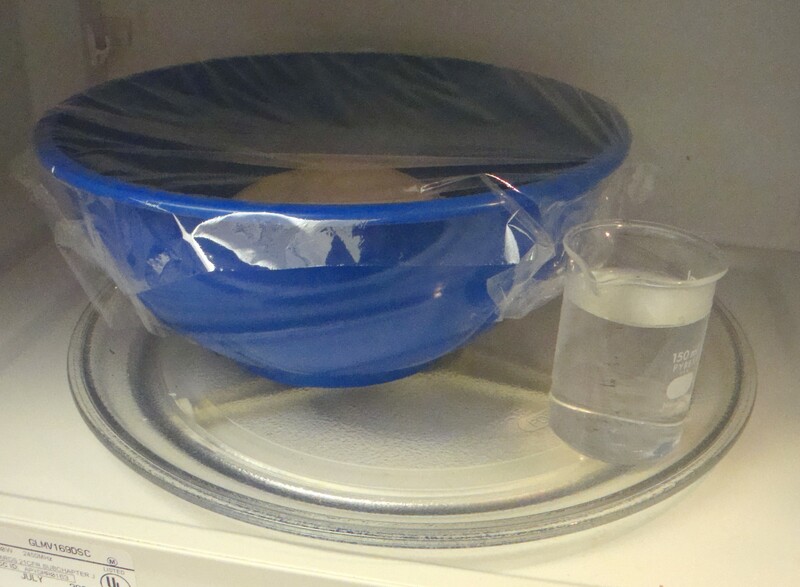 Place the dough in a bowl, cover with a piece of microwavable plastic wrap and place in the microwave. Place an 8 ounce container of water next to it. Now, here is where adjustments may have to be made. My microwave is 1,000 watts, and I’ve found from experience that a setting of “10” on the power scale works well. Heat the dough for 3 minutes at whatever setting will work for you. If you haven’t tried the recipe before, I’d recommend a setting of 10 if you have a microwave of about 1,000 watts. Leave it in the microwave and let it rest for 3 minutes. Heat again for 3 minutes and then let rest for 6 minutes, or when dough has doubled in bulk. 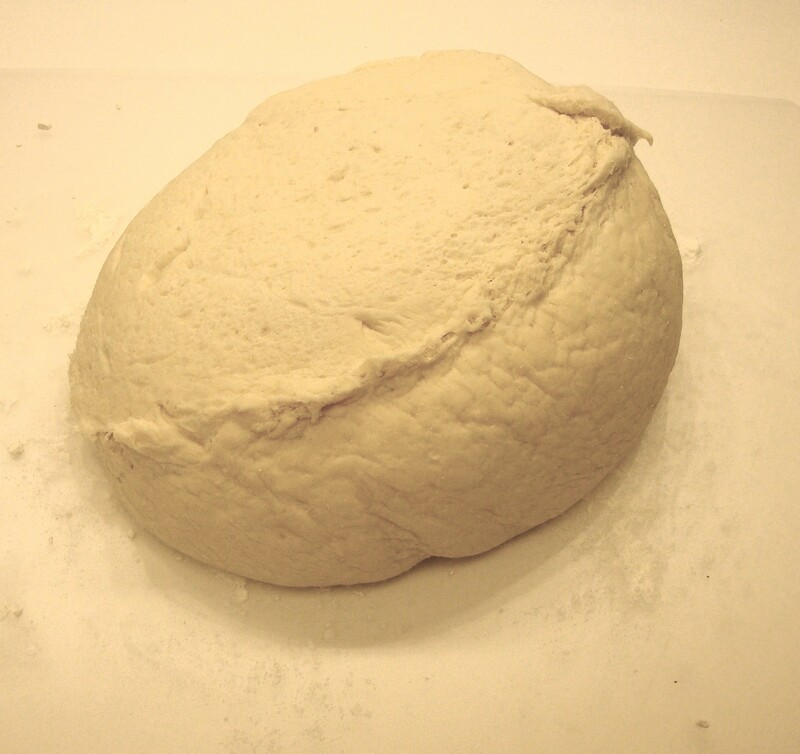 Now, remove the dough and on a floured surface, punch it down and knead for a few seconds. 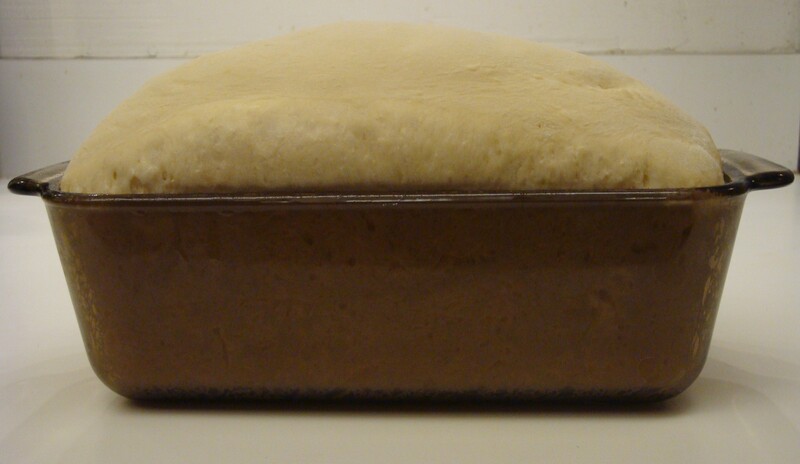 Lightly grease an 8 ½ by 4 ½ by 2 ½ inch glass loaf pan. Shape the dough into a loaf and place in the pan. Return the pan to the microwave (the water should still be there) and heat for 3 minutes (it will be off-centre, which is fine). Rest for 3 minutes. Heat for 3 minutes and rest for 6 minutes. In the interim, preheat your oven (middle rack) to 400 degrees F.
When your oven is ready, the bread should be nice and puffy. Depending on the wattage of your microwave, you may have to let it have an additional 3 minutes heat and 3 minutes rest. 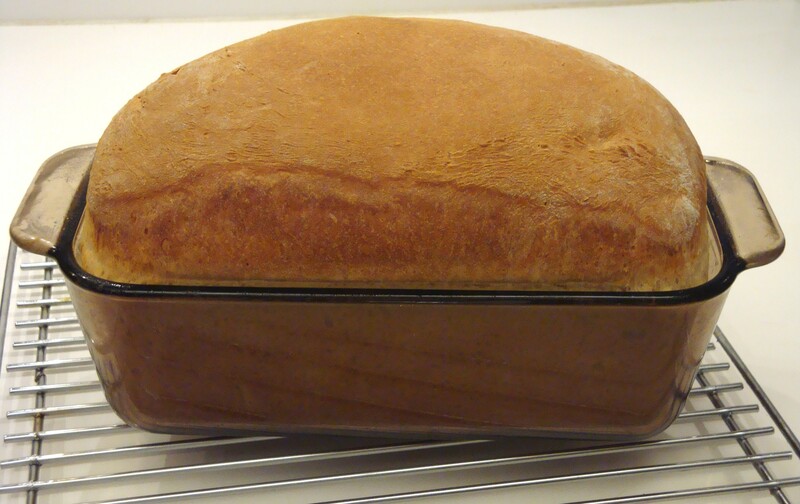 Place the pan in the oven and bake for about 20 minutes or the bread sounds hollow when tapped and is nicely browned. A quick misting with cold water will give a firmer and crunchier crust. Out of the oven. Total time, including prep, processing, proofing and baking, 61 minutes! Remove the bread from the pan immediately and let cool. Enjoy! Oddly enough, this is the only bread recipe I have used, where I did not have to make any adjustments in the proportion of baking ingredients (flour, moisture), due to altitude (my house is at 5,300 feet), although I have found a better result by giving the proofing and resting an extra 3/3 minute cycle. I found that at 1,000 watts, using a power setting of 20 did not give results as satisfactory as using a power setting of 10. The key is to try the recipe 2 or 3 times and adjust your settings accordingly. 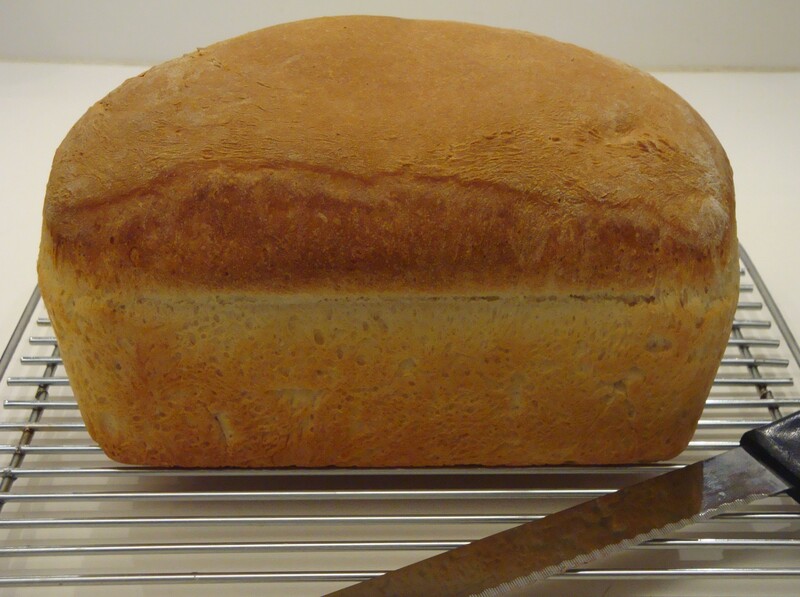 Once you’ve found the best combination, you can be eating a good loaf of bread made from scratch, in an hour! How can you beat that? My next venture will be to dress up the bread a bit, as it is pretty plain…perhaps cinnamon/raisin or something savoury! Ready to eat in an hour from start to finish! This entry was posted in Cookbooks, Cooking, Cooking Technology, Food Trends, Recipes, Uncategorized and tagged Altitude Adjustments, Baking, Bread Baking, Bread Proofing, Cooking, Diana Butts, Food Processor, Linda Eckhardt, Micro-Rise, Microwave oven, Sue Jimenez. Bookmark the permalink. 3 Responses to “Micro-Rise” Bread in 60 minutes. Really? Before investing in a bread machine, this book intrigued me as well. I bought it years ago, when it first came out, and this is the book that got me hooked on bread making. I was fortunate to have the exact model microwave that the authors tested, so the recipes came out perfectly. 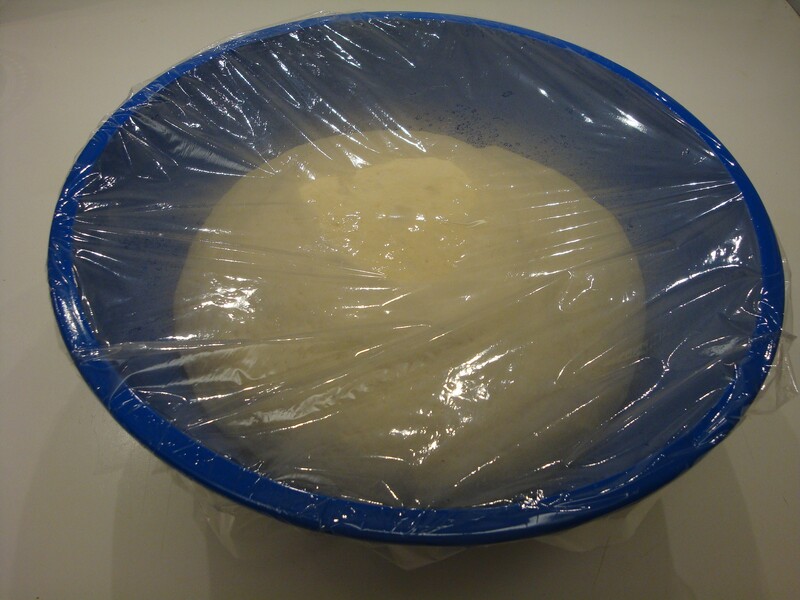 Now that I have a bread machine to do the kneading and rising, I don’t use this method anymore, but it truly works and I recommend it for anyone who does not have a bread machine. It is geared for an older microwave, though, ones that do not have the current higher wattages, so be sure to set your microwave for a power that equals about 900-1000 watts max.